The Option Strategist Newsletter is published each Friday, and is generally delivered in the morning. Research articles covering relevant topics, historical studies, and new strategies are published throughout the week and delivered to subscribers immediately. Click Here to view an index of past Feature Article topics. Larry's weekly stock market analysis based on various technical indicators including put-call ratios, breadth, sentiment, price action, momentum, volatility and volatility derivatives. Review and explanation of key option concepts. Pertinent charts and graphs illustrating important positions, studies, and ideas (put-call ratio signals, price action, support & resistance, term structure, McMillan Oscillator, volatility & variance futures, etc). Tables detailing lists of valuable data ("stocks only" advances & declines, covered call write candidates, volatility skews, expensive and cheap options, implied volatility of $VIX options, etc). In-depth analysis and commentary on the current volatility and variance derivatives markets and what they're saying about the stock market. This important information is found only here. Click here to view The Option Strategist Newsletter's impressive 25-year track record. Each Option Strategist Newsletter subscriber is granted access to the full last year of back issues. Older back issues are available to purchase for $4 each. 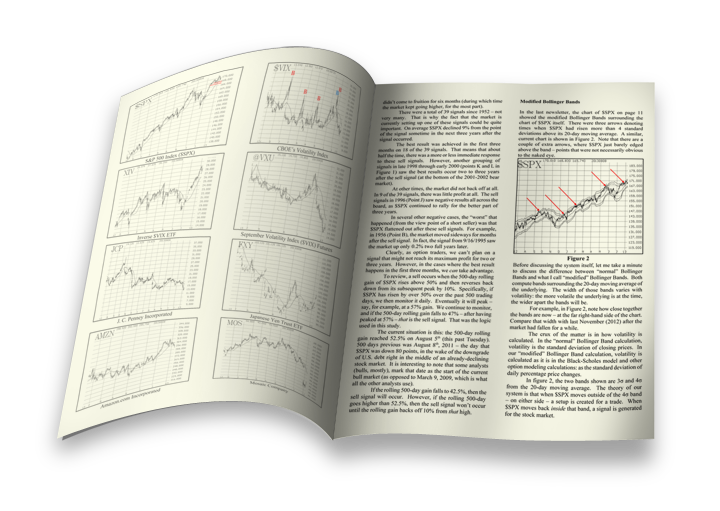 Visit The Option Strategist Newsletter Back Issue page to view the feature article topics and to purchase older back issues. *Each customer is limited to one $29 trial.